The City of Philadelphia is inviting LGBTQ couples to celebrate National Coming Out Day with a special event, "Out in Love." 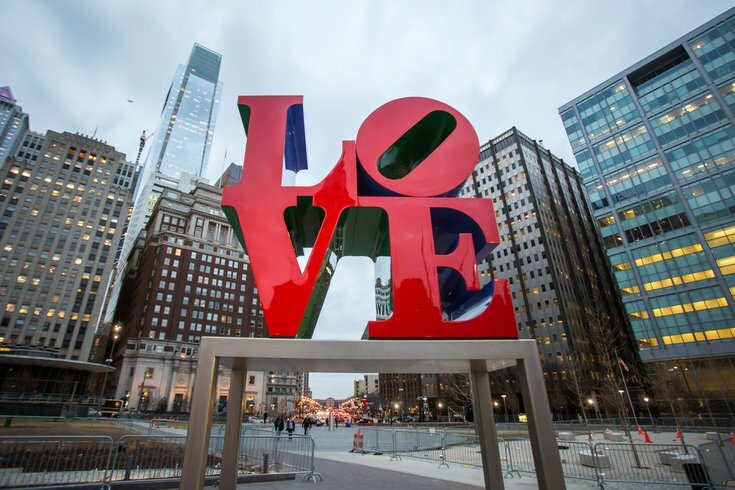 On Thursday, Oct. 11, couples will have the opportunity to get married or renew their vows – for free – in front of the iconic LOVE sculpture at JFK Plaza. Mayor Jim Kenney will deliver remarks and esteemed LGBTQ judges will officiate. After the ceremony, friends, family and members of the public are invited to celebrate the couples in the park with a reception, complete with food trucks and music. "Out in Love" will take place from 11:30 a.m. to 2 p.m. Couples interested in getting married must first obtain a marriage license in advance. Email a copy of the marriage license to lgbt.intern@phila.gov by Monday, Oct. 8. Couples interested in renewing their vows only need to contact lgbt.intern@phila.gov by Monday to reserve their spot. Space is limited, so couples are encouraged to sign up as soon as possible before the deadline. "Being queer and in love is a profound, radical act. It is an act that tears down all social boundaries, an act of choosing to be with the person you love in a world where your commitment is challenged every day, and it is the act of choosing to honor, respect and stand beside the person you love as you both walk in your truth," shared Amber Hikes, Director for the Office of LGBT Affairs in Philadelphia, in a statement to the press.